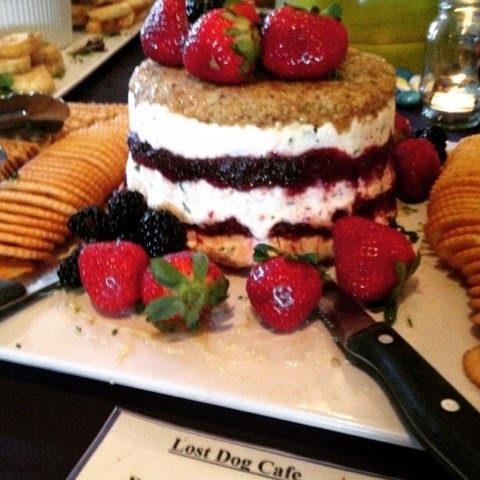 A few weeks ago, when I previewed Binghhamton Restaurant Week, I posted a picture of a drunken torta made by the Lost Dog Cafe that garnered a lot of attention - rightly so, because that thing was sinfully delicious. I asked the lovely owners of LDC if I could share the recipe of this cheesy, nutty, savory, fruity wonder, and they said yes! Their chef was a little bit less eager to give away the whole shebang, but from what they told me, I bet you clever readers could assemble reasonable facsimiles for your Easter tables. Mix cream cheese with with some feta, basil and parsley. I would recommend three parts cream cheese, brought to room temperature, mixed with one part likewise room temp crumbled feta, and a few tablespoons of minced herbs, and I would whip them together with a mixer. Those fruity layers are called raspberry melba, and they tell me it's laced with Merlot wine. There's your drunken element! When I think melba, I think crunchy toast, so I looked it up. It's French, of course. All praise Escoffier! Basically, this is just raspberry purée. So for this, I would suggest cooking down a bunch of frozen raspberries with a smidge of sugar and some Merlot until quite thick like a jam, the pureeing in a food processor. Give a whole mess of toasted walnuts a whizz in the processor as well, and press the finely chopped nuts into the top layer of cheese, then drizzle with honey. Once you get your layers of cheese, melba, and nuts assembled, refrigerate for several hours to a day before serving, so that it can set up and the cheese layer doesn't slide off its fruity foundation when you scoop into it. The genius of this dish is the funky, salty feta and savory herbs in the cheese layers juxtaposed against the sweet, fruity melba fortified with merlot, which has an earthy quality. The nuts ground everything, and the finished product is quite complex and so pretty! I would recommend lining a trifle dish with plastic wrap, building the torta in that, and then turning it out upside down for presentation once it's refridgerated for a bit and set up. Serve this baby with baguette, fresh fruit, and crackers, and just wait around to collect the raving accolades. 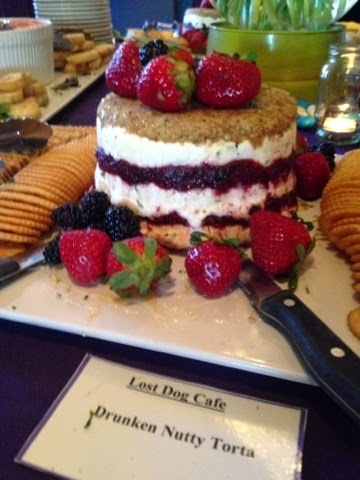 Thank you to Lost Dog Cafe for bestowing this tasty wonder upon us! 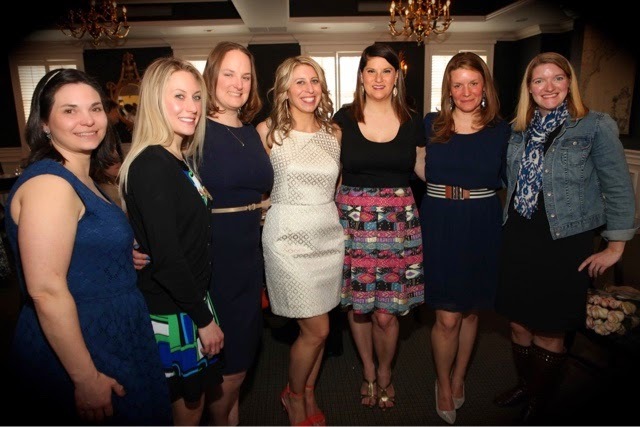 This past weekend, we had Big Hungry Melinda's bridal shower up in Hamilton, at the Colgate Inn. 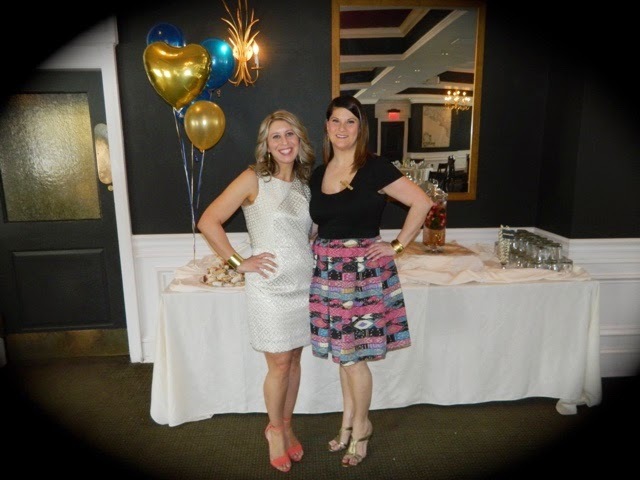 I reviewed the Inn a few months back, and was even more enamored with their catering and special events operation. The space was absolutely gorgeous. 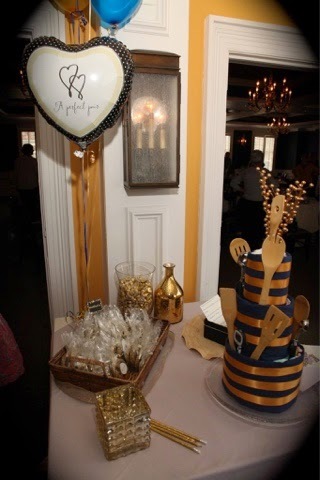 One of my favorite gets for this celebration were the favors, which I actually learned about on Instagram. Bijou Sweets is an NYC-based start-up founded by two young women who wanted to share their love of fancy treats. 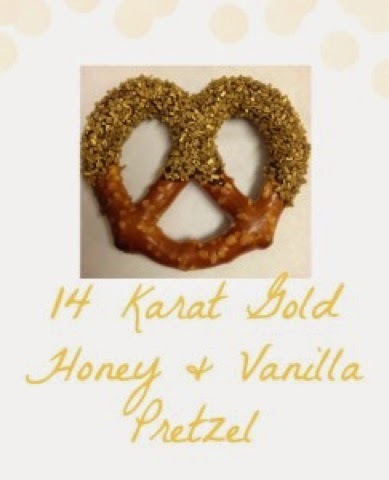 We had their chocolate-covered "14 karat gold honey and vanilla" pretzels, adorned in edible gold sprinkles and individually wrapped in clear cellophane - one for each guest. The pretzels were crunchy, lightly sweet and salty, and subtly flavored with vanilla. Very chic, easy, and yummy! I highly recommend Bijou Sweets for your next stylish fete! 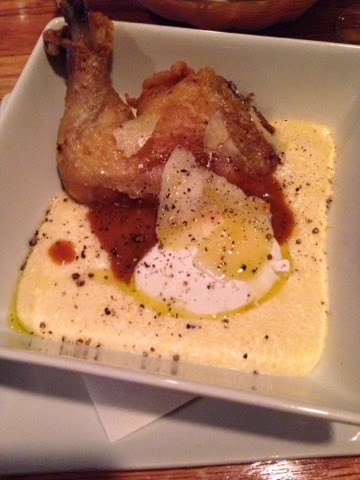 "Confit" fried chicken sitting in a puddle of thick, perfectly seasoned polenta with a ladle of sweet tomato jam, a soft poached egg for richness, shavings of salty Parmesan cheese, and a sprinkle of freshly cracked black pepper. I may never diet again! My personality is big; my hunger is bigger!